Over 60 mill. smart connected devices shipped in Western Europe in 2014Q3. What brand has the lead? The smart connected device (SCD) market posted another quarter of growth in Western Europe, driven mainly by increased demand for personal computers. According to figures published by International Data Corporation (IDC), PC, tablet, and smartphone shipments totaled 60.1 million units, with volume 8.6% higher compared with the same quarter a year ago. The trends seen during the previous quarter were confirmed in the third quarter of 2014: shipments of PCs continued to post an increase, with demand shifting towards desktops and portable PCs after few years of delayed renewals and with low-end consumer portable PCs driving the growth in shipments. On the other hand, tablets continued to contract as end users have not seen sufficient need to replace their devices. • Although PC renewals slowed in the commercial space, PC shipments were supported by increasing consumer demand during the back-to-school season and preparations for the Christmas sales. 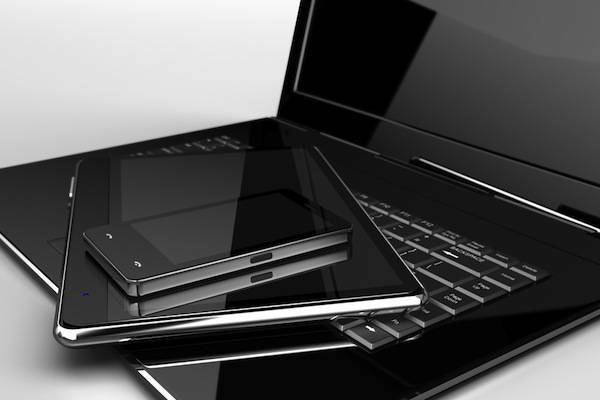 Consequently, PC shipments posted 23.6% growth in Western Europe. • Tablets declined but 2-in-1s picked up and posted 46.4% growth. • Smartphones posted 6.1% growth, driven by the increased availability of affordable smartphones and the proliferation of 4G networks. This quarter experienced a small contraction as a result of the ongoing dynamic shift among different mobile devices. Small tablets suffered from growth in phablets, whereas the overall tablet market was impacted by the price aggressiveness of a huge number of portables with MS Windows 8.1 with Bing. Despite disappointing growth rates in 2014, IDC expects the market to continue thriving from 2015, benefiting from continuous price erosion and innovation, as a consequence of the fierce competitive environment. The smartphone market is highly competitive as mobile phone vendors have intense interest in this space. New vendors have successfully entered the market, mainly targeting the low-end segment, where growth levels are higher. The average selling price (ASP) of smartphones fell 5.5% to $433 and a downwards trajectory is expected, dropping to $317 by 2018. “Startup players are launching devices with attractive specs at very competitive prices, and users are becoming more open to new brands when they understand their value proposition,” said Susana Santos, Research Analyst, IDC WE Mobile Devices. Overall vendor ranking remained unchanged for this quarter. Samsung and Apple maintained their leadership in the overall device market, supported by large smartphone volumes and especially new product launches for Apple. • Samsung continued its leadership in the smartphone space in Western Europe, both by volume and value, despite a volume decline of 16.7%. Apple kept second position with a share increase from last year to 17.1%, benefitting from the long-awaited larger-screen devices launched in September. Wiko jumped to 6th position in the top smartphone vendors’ ranking, reaching 3.2% market share. • During 3Q14, Apple kept the leadership in the region for tablets, despite a volume decline of 15.9% year-on-year, chiefly affected by increased tablet life cycles and the expectation of a new product launch. Samsung consolidated its position and held second place, although shipments contracted by 2.7% from the same period last year. • In the PC ranking, HP remained leader in Western Europe, followed by Lenovo and Acer, with the latter two vendors benefiting from very strong growth in consumer PC shipments. Sony and Samsung no longer rank in the top 10, following their exit from the Western European PC market.